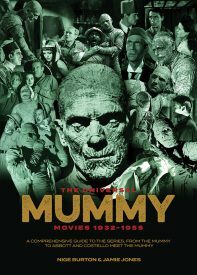 LOW SHIPPING RATES FOR ORDERS OF THE UNIVERSAL MUMMY MOVIES 1932-1955 TO THE UNITED STATES, UK, CANADA AND EUROPE! Ancient, exotic, and unstoppable – Universal’s Mummy was brought terrifyingly to life by Boris Karloff in the 1932 horror classic directed by Karl Freund. The Mummy was their brand new monster after the success of Dracula and Frankenstein the previous year, and would prove to be one of their most enduring. Although it was eight years before a sequel was produced, once The Mummy’s Hand had been released in 1940, with Tom Tyler stepping into the bandages, it could only be a matter of time before the studio’s franchise bandwagon pulled the character on board and handed the reins to its new master character creator, Lon Chaney Jr.
Our luxury franchise guide begins with a chapter devoted to The Mummy (1932) and covers each instalment in the series in turn, with many rare stills, posters, behind the scenes information, facts and trivia. No stone is left unturned in exploring the whole Mummy series, including The Mummy’s Hand (1940), The Mummy’s Tomb (1942), The Mummy’s Ghost (1944), The Mummy’s Curse (1944) and Abbott and Costello Meet the Mummy (1955). 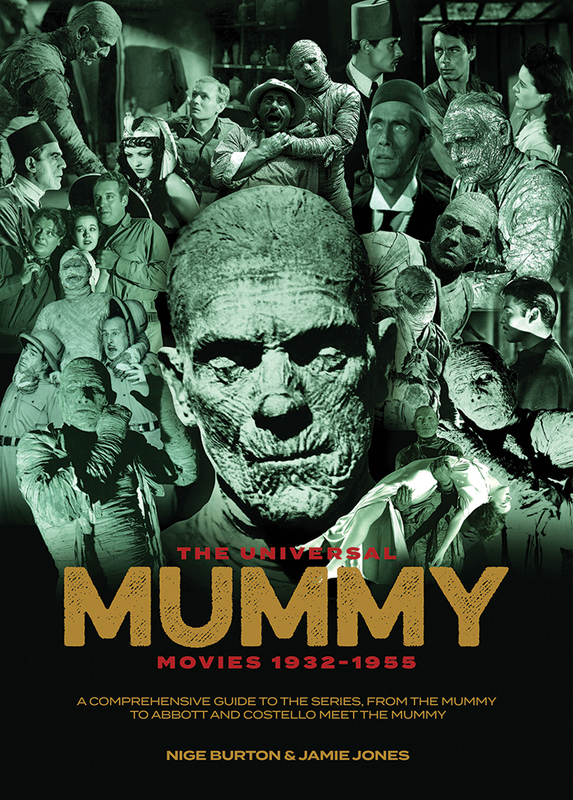 Painstakingly researched, and lovingly written by authors Nige Burton and Jamie Jones, The Universal Mummy Movies 1932-1955 also looks in depth at the many people behind the series, from cast and crew to studio executives and the creative brains at the beating heart of the Mummy story. 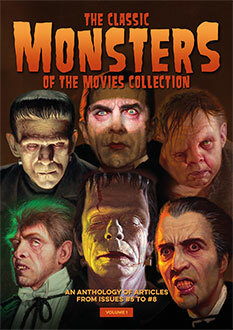 This luxurious 68-page special collector’s edition magazine is perfect bound in the style of Classic Monsters of the Movies magazine, and is packed with articles, stills and posters, all printed in a beautiful full colour publication which any classic monster lover will cherish. Well it took seven months to get it, but it was worth the wait. High quality full colour printing with heavy glossy covers. Loads of information and wonderful pictures. 10/10. Got it today another lovely mag fantastic quality.